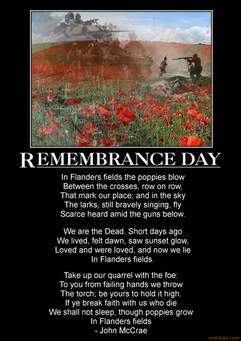 My thoughts for this Remembrance Sunday began over a month ago. It was 15 October and we gathered in this Cathedral to bless and dedicate the Parata Chapel. To honour the grandparents of Canon Hoani Parata whose flag is above us here today. That faded New Zealand flag above us here is the same flag that he took with him in the First World War where he served as a military chaplain. As always happens on such occasions stories were shared. One story stuck with me. It concerned Victor Spencer, the 1st battalion Otago, shot by Firing Squad at dawn 24 February 1918. On that morning Hoani Parata was the Chaplain who walked alongside Spencer. It is remembered that Spencer’s last words were to him: ‘Are you there Padre?” “I’m here.” The Squad fired. So on this Remembrance Sunday we remember this grim incident; we remember the faithfulness of a padre who walked alongside a doomed man from Southland; we remember the harshness of what Spencer suffered; we might even try to imagine the anguish and the shame his family suffered; and we thankfully may also remember his posthumous pardon, too many years later, in 2007. Perhaps most powerfully of all we may reconsider where we would stand in this story – I hope we would wish to stand alongside Canon Parata and with him respond “I’m here”. This is the year that marks the centenary of New Zealand’s Blackest Day as it has been called: The Passchendaele engagement of 12 October 1917, a futile attack on the Bellevue Spur at the cost of c.846 men. Historically we are well informed of what the military campaigns were like: I think of Matthew Wright’s recent book The New Zealand Experience at Gallipoli and the Western Front. Diaries, letters and various papers from those who survived the war have been keenly collected and there is a Passchendaele Society that respectfully keeps the intolerable memory alive. And every year we gather to remember them and to try and peel back the scab of memory and face again what happened; perhaps catch a sense of what it must have been like; and we flinch to think of such things. But to remember is to do something more than that. To remember requires we engage the past with our present, this is an activity of our moral imagination. We may simply ask ourselves about our country and how we now live: does what we have and do honour the memory of those who died in this war? Where do we stand? We hear the question “Are you there Padre? “ Could we answer ‘Yes’? Of course we know that our society has changed; but how do we feel about the emergence of deep divisions in our nation; social and financial divisions that have made us, I suspect more than in any other time in our history, a nation of haves and have-nots; and a nation perilously divided by those who pay taxes and those who manage to avoid them or at least pay far less than their fair share. This is a global phenomenon, as the recently released so-called ‘Paradise Papers’ have made clear. The concept of care for the common good has been horribly eroded and the common bonds that make for a truly civilised society have become ever more fragile. As social bonds have fractured – for instance in the cost of housing, access to health care, the fact of child poverty and diminished job opportunities – the question of where we stand in our society is not just a rhetorical flourish but a matter of where we set our hearts and minds.